Feeling happy, challenged and fulfilled at work the essence of well-being. We believe that feeling confident in your workplace and enjoying what you do is important. 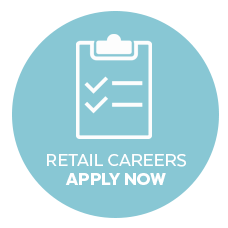 We provide our full-time permanent retail employees with benefits well beyond a paycheck, and focus on a few basic needs help make life and work meaningful. Eligible employees will have access to benefit offerings. Financial well-being is about making good financial decisions today and planning for the future. 401K Plan: Go! Retail matches dollar-for-dollar on the first 5 percent of your annual income. The match will be contributed to your account each pay period so the money is put to work right away. Discounts: Employees discounts off merchandise. Plus during special events announced by the company, employees can share their discounts with family members. Due to the nature of our business, some departments may be required to provide coverage during holidays. In these circumstances, time off is typically given in lieu of the holiday. More details regarding benefits are provided during new hire orientation meeting.